Enjoy the top 1 famous quotes, sayings and quotations by Poetic Evolution. The woman I was yesterday, introduced me to the woman I am today; which makes me very excited about meeting the woman I will become tomorrow. 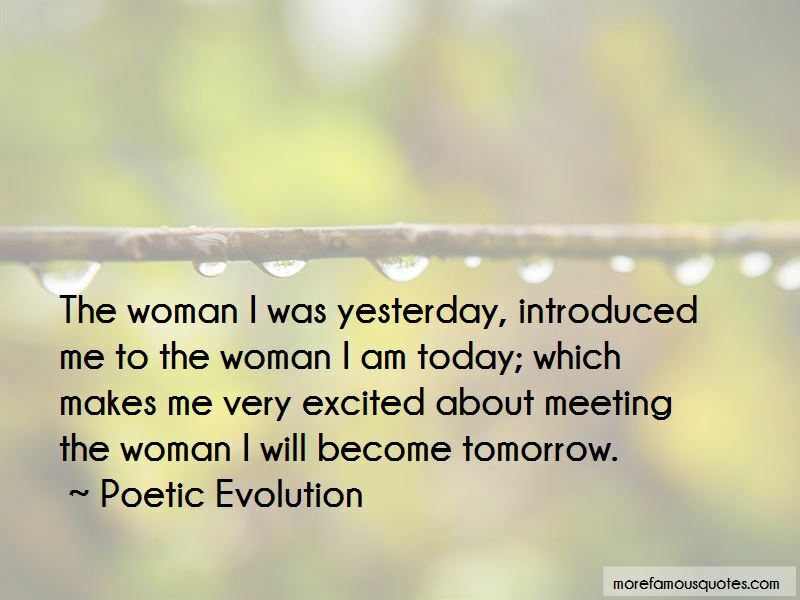 Want to see more pictures of Poetic Evolution quotes? Click on image of Poetic Evolution quotes to view full size.